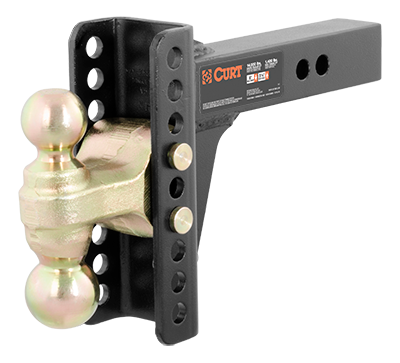 CURT adjustable ball mounts are the ultimate solution for towing different types of trailers. If you own multiple trailers or frequently tow a variety of loads, you know how much time and money are spent tailoring your towing system to each and every individual trailer. There is nothing more inconvenient than switching back and forth between a few different ball mounts and trying to remember which mount fits with which trailer. A CURT adjustable ball mount is your multipurpose towing solution.